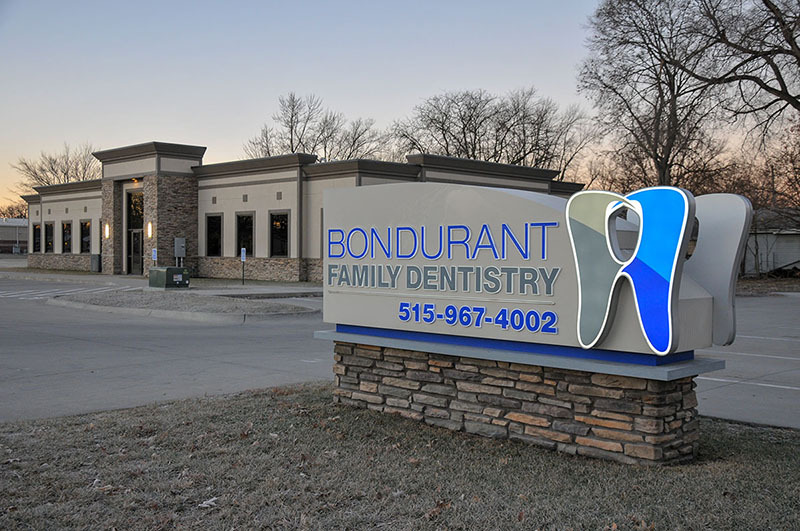 Click on the button below for New Patient Forms you can download, print and complete before your first scheduled dentist appointment with Bondurant Family Dentistry. Then you’ll be ready to see us when you get here! We look forward to meeting you! If you’re still unsure or uneasy about scheduling your first dental appointment with us, please feel free to call us at 515.967.4002 for a no-pressure tour of our office. We’ll appreciate you coming in to meet us! At Bondurant Family Dentistry, we’ll never offer a deeply discounted or free service to get you in the door and then recommend a high dollar treatment plan that you don’t need. We don’t resort to gimmicks, stunts, up-sells, tricks, or games, because that’s not how we’d want to be treated. We understand you have nothing to go by other than previous experiences or what others have told you. We will consistently work hard and treat you with fairness, dignity and honesty to earn your trust. We hope to accommodate your dental care with a wide variety of options for payment. Reviewing the information below will help match you with your preferred payment method. At Bondurant Family Dentistry you’re able to use your major credit card to cover your expenses. We accept all major credit cards including Visa, MasterCard, American Express, and Discover. Instead of putting off needed dental care, Care Credit is an option for those who qualify for these flexible monthly payments. With qualification, CareCredit offers no interest if paid in full in 6, 12, 18 or 24 month* with their promotional financing options. Please read and understand the CareCredit terms and financing options. CareCredit promotional financing options may expire at any time. Bondurant Family Dentistry is not affiliated with CareCredit. Just call our office at 515.967.4002! We can take your information over the phone to get you scheduled at a time that works for you. Then you can get a head start by clicking on the ‘NEW PATIENT HEALTH HISTORY AND HIPAA’ button under ‘NEW PATIENT FORMS’ above to download, print and fill in your information before your visit. Do you need my previous records? To save you time we can have you fill out our records release form and contact your previous office for you. You can walk in to get the form, we can fax or email it to you, or you can click on the ‘CONSENT TO RELEASE RECORDS’ above and download, print, fill in and then submit the form to our office in order for us to obtain your previous records. Can I call back with my insurance? We prefer to get your insurance information before your appointment so we can give you a complimentary benefits check. This way we’ll be prepared with your benefit information for you before your appointment. We get it. We move at a slower pace with patients who are nervous. Our goal is to make you comfortable, to proceed carefully, and to try to resolve your underlying anxiety. Long-term dental anxiety can lead to oral health problems resulting from avoiding the dentist. We can also offer to administer nitrous oxide, known as “laughing gas,” or we can prescribe other remedies to reduce your anxiety. What if I’ve never had a cavity? It’s terrific if you’ve never had a cavity! Keep up those good dental habits, but don’t neglect routine dental visits, because you could still be at risk for gum disease. Gum disease is silent like diabetes and high blood pressure until it’s too late. The good news is that routine dental care can help prevent it! What if I’ve had a filling for years and it’s never bothered me, but my last dentist recommended I get a crown? Recommending treatment for asymptomatic teeth with no decay: educate with intraoral photo and discuss the long term risks of no treatment, plant the seed but allow the patient not to schedule. Will the dentist and hygienist listen to me? 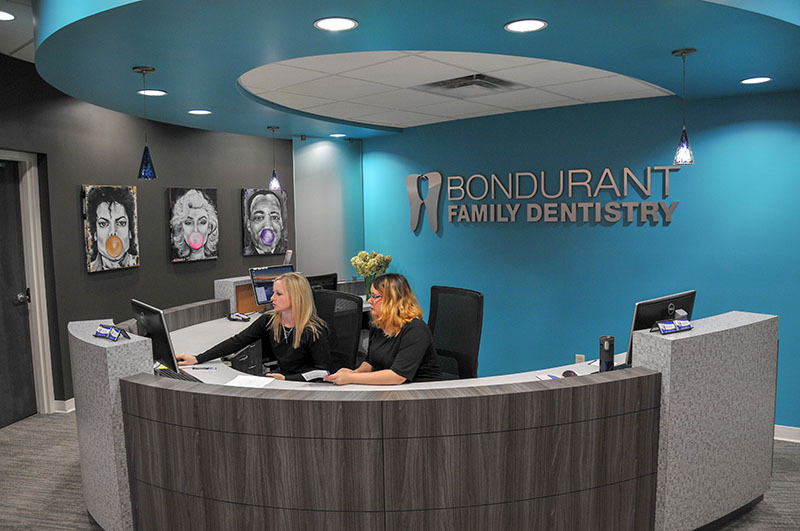 At Bondurant Family Dentistry we are all about actively listening to our patients, and any treatment plan is determined by both patient and dentist. We will listen to you when you share about your dental issues and will ask thoughtful questions for further assessment. Then simple or phased treatment plans are developed with your involvement. Open, honest, productive communication with our patients is our Standard of Care.